Flownetix Limited was formed in 2002 as a spin-off company from the design company Univations Limited which was awarded a Department of Trade and Industry (DTI) Smart Award in 2002. The result of this was the development of the product technology which in turn became the core of the Flownetix product range. The IET Innovation in Engineering Awards recognise and celebrate excellence in engineering innovation across a range of industry sectors and engineering disciplines. Winners were selected from hundreds of entries from around the world by a distinguished panel of judges. The Flownetix 300series® range of non-moving part consumer water meters were selected as the winner in the Control, Instrumentation and Robotics category. The judges commented that "this entry demonstrated a strongly innovative approach which transfers an established industrial measurement technique to a high volume 'consumer' application. Water management is an increasingly important societal issue and this development promises a means of straightforward and acceptable metering as a result of improved accuracy and reliability. Significant novelty is demonstrated in the use of a robust instrumentation technique in a cost and power-sensitive application. The product has markets worldwide and there is significant opportunity for business development." The prestigious global awards were presented at a special ceremony at the IET&apos;s London HQ, Savoy Place, hosted by TV personality Adam Hart-Davis. The awards have been supported by the Department of Trade and Industry. Lord Sainsbury of Turville, Parliamentary Under Secretary of State for Science and Innovation at the DTI attended the awards. The Water Industry Achievement Awards is a new scheme created by FHG magazines Water & Waste Treatment and WET News to recognize and reward excellence in the world-leading UK water industry. 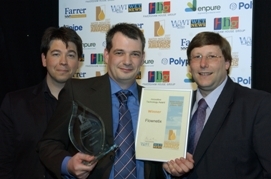 Flownetix won the Water Industry Achievement Award 2007 for Innovative Technology for the company&apos;s 300series® range of non-moving part consumer water meters. Britain&apos;s biggest social event for the water industry took place on Wednesday 2nd May 2007 at the International Convention Centre, in Birmingham City Centre. The Water Industry Achievement Awards is where the whole market came together to applaud and celebrate the winners of six major accolades at a glittering Awards dinner. Awards were presented for Partnership Initiative of the Year, Best Information & Communication Campaign of the Year, Drilling & Tapping Tyco Trophy and Outstanding Individual Contribution to the Water Industry as well as the Innovative Technology award won by Flownetix. The Awards event was held during IWEX, part of Sustainabilitylive! - the UK&apos;s largest forum for excellence and innovation in water, environment, land and energy, held at the National Exhibition Centre in Birmingham. 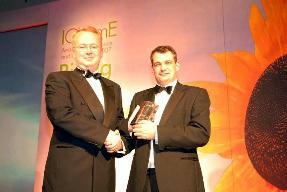 The annual IChemE Awards programme encourages, celebrates and rewards innovation and excellence. The awards aim to recognise and promote organizations which make an outstanding contribution to safety, the environment, sustainable development and other aspects of the chemical and bioprocess industries. The event, which attracted over 400 industry experts, recognised just some of the innovative projects being undertaken by chemical and process engineers, all over the world. 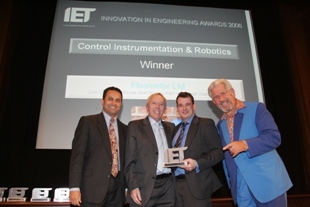 The Flownetix 300series® was highly commended at the Awards 2007 in the category for innovation and excellence in SMEs. Top businessmen and women attended a glittering black-tie dinner and presentation evening at the Henley Management College for the climax of the prestigious 2007 Henley Business Awards where Flownetix was awarded "Innovative Company of the Year". Now in its fifth year, the Elektra Awards are the most prestigious product technology and business awards in Europe and recognise the achievements of individuals and firms across the European Electronics industry and the finalists included many of the world&apos;s leading consumer and component industry names. The Flownetix 300series® was among the finalists in the Design Application Award category including some of the world&apos;s most prestigious electronics industry players. Sponsored by Sony, this award was for companies to demonstrate how they have successfully applied component and software technologies in a specific product or application. The Flownetix 300series® was recognised for the unique way hardware and software has been integrated in both the product and production technologies in a real-world application.